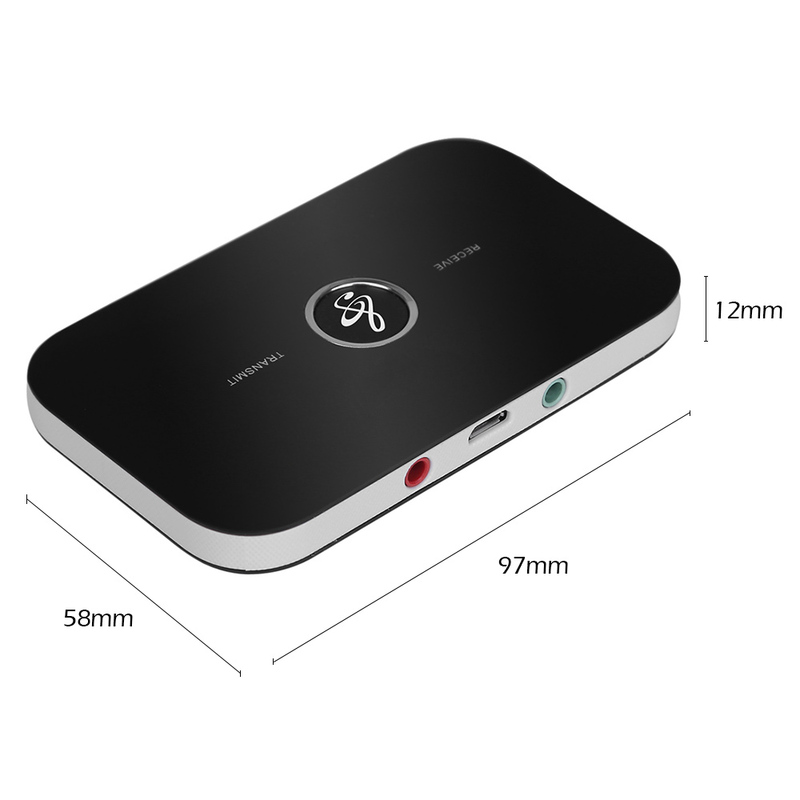 2 in 1 Bluetooth Transmitter & Receiver, as a Bluetooth Audio Transmitter, B6 is specially designed for the Audio Devices (such as MP3, MP4, TV and PC, etc.) without Bluetooth function. 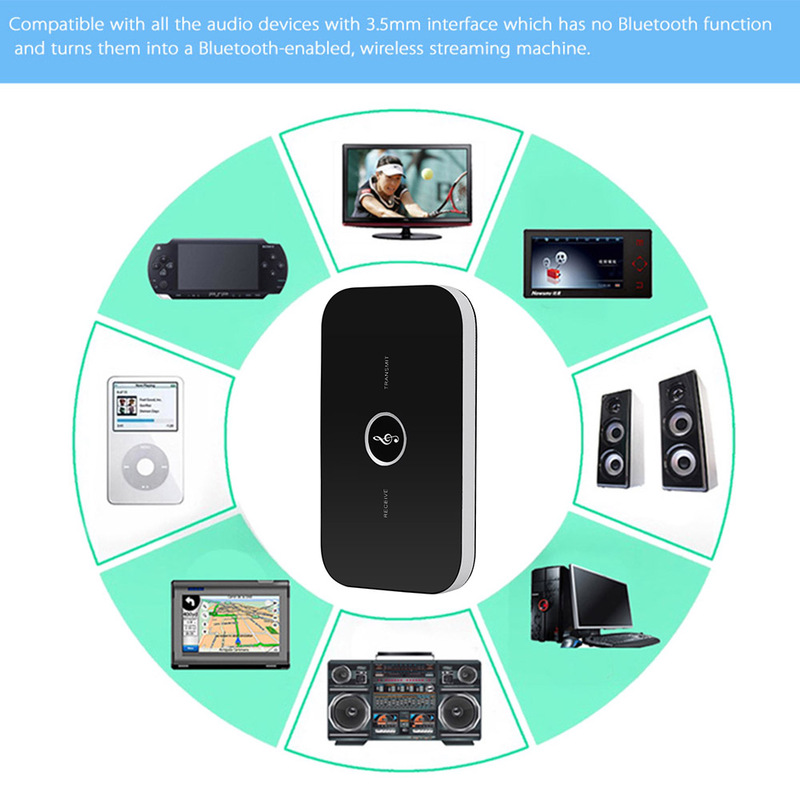 You can connect the Bluetooth Transmitter to the audio devices without Bluetooth function via the included 3.5mm Audio Plug, changing these audio devices into Bluetooth-enabled audio devices, and making it work with Bluetooth-enabled Headset and Speaker; as a Bluetooth Audio Receiver, B6 is specially designed for Car Stereo systems and Home Audio System. It can change the traditional Car Stereo systems and Home Audio System into Bluetooth-enabled ones, and easy to pair with Bluetooth-enabled Smart Phones, laptop, tablet, etc. 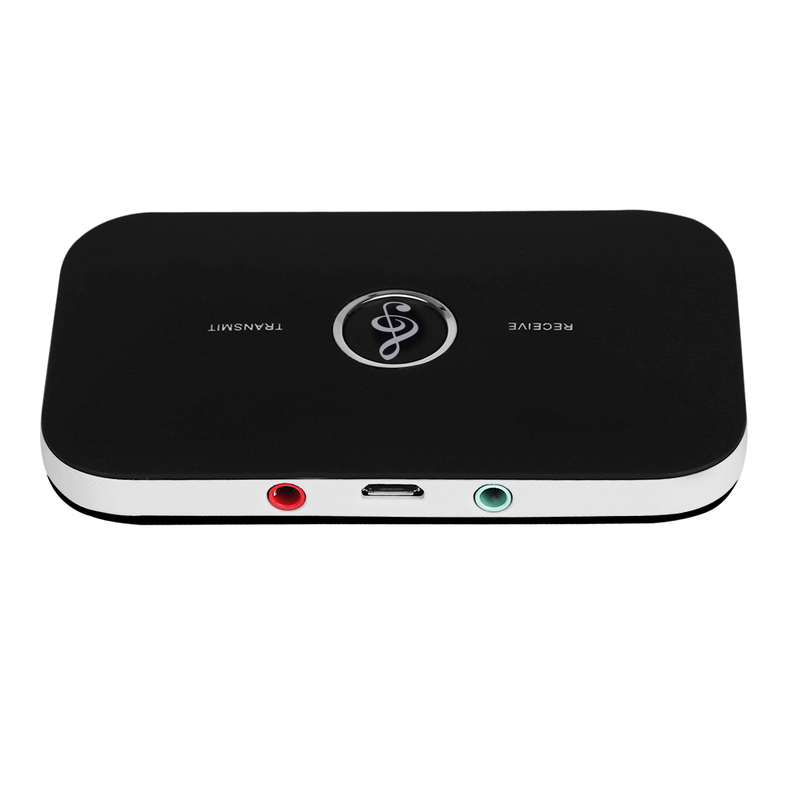 With this product, you can greatly enjoy music from your phone, laptop, tablet without the hassle of cables. 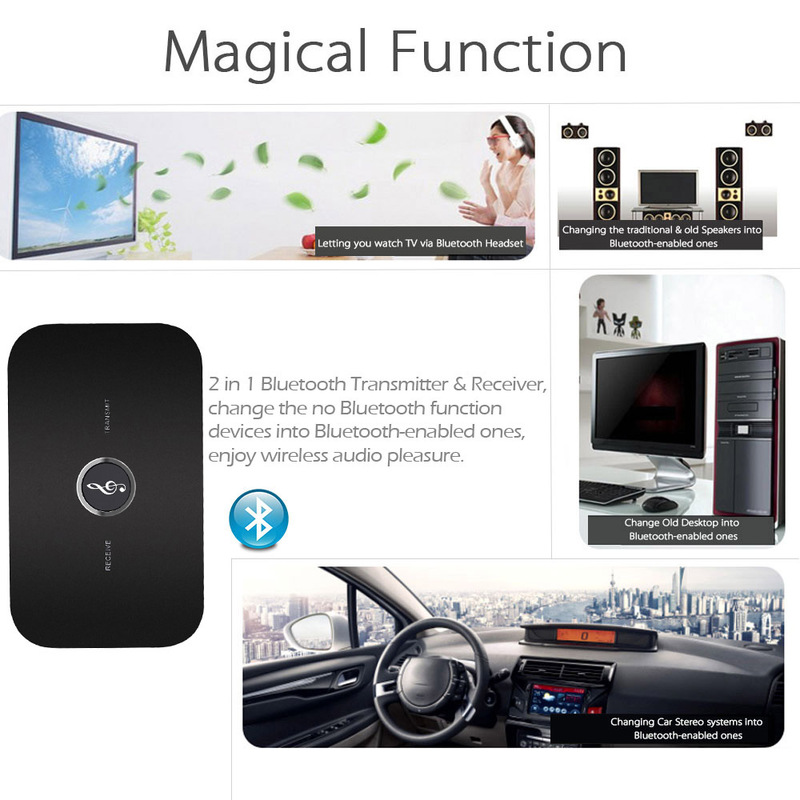 B6 2 in 1 Bluetooth Transmitter & Receiver will give you much fun and convenience. 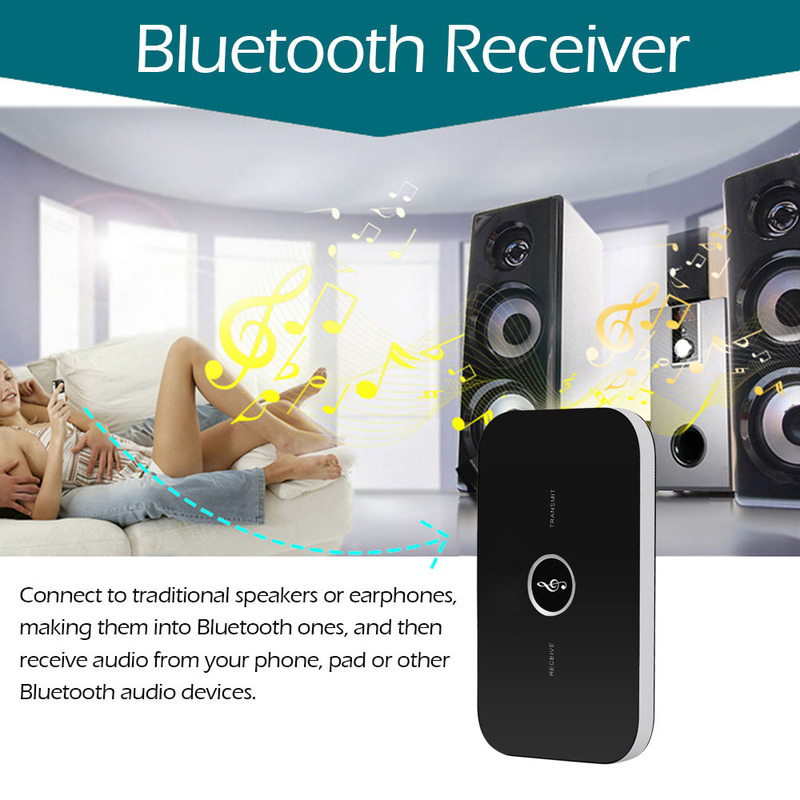 [Receiver Mode] B6 Bluetooth Receiver change the traditional speakers into Bluetooth-enabled ones. After paired, play music wirelessly from your Bluetooth-enabled Smart Phones, Laptop, Tablet and more without the hassle of cables. Support Automatic Re-connection. 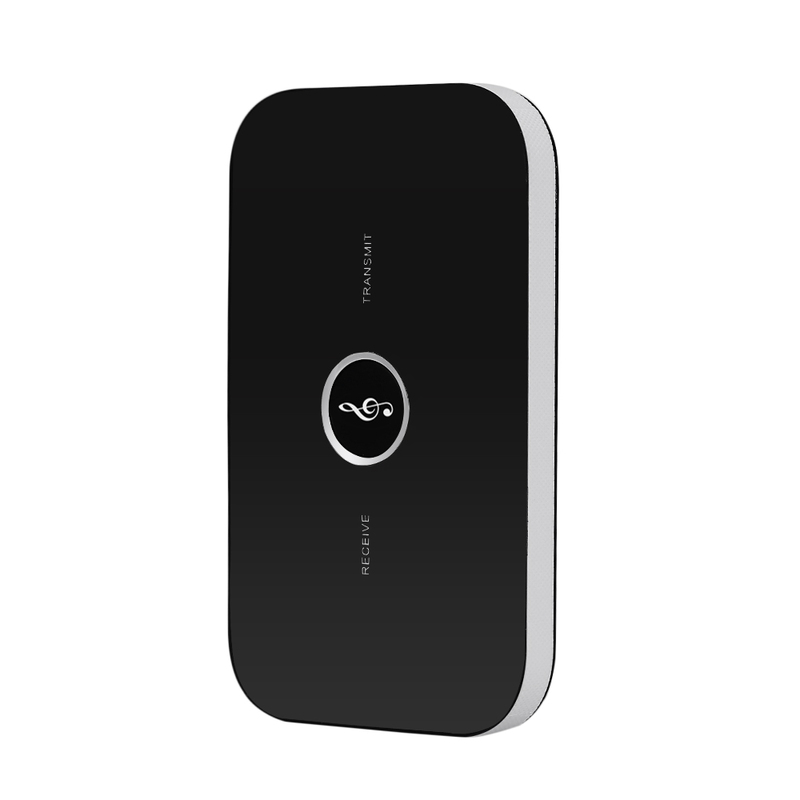 [Transmitter Mode] B6 Bluetooth Transmitter is specially designed for the Audio Devices (such as MP3, MP4, TV and PC, etc.) without Bluetooth function. 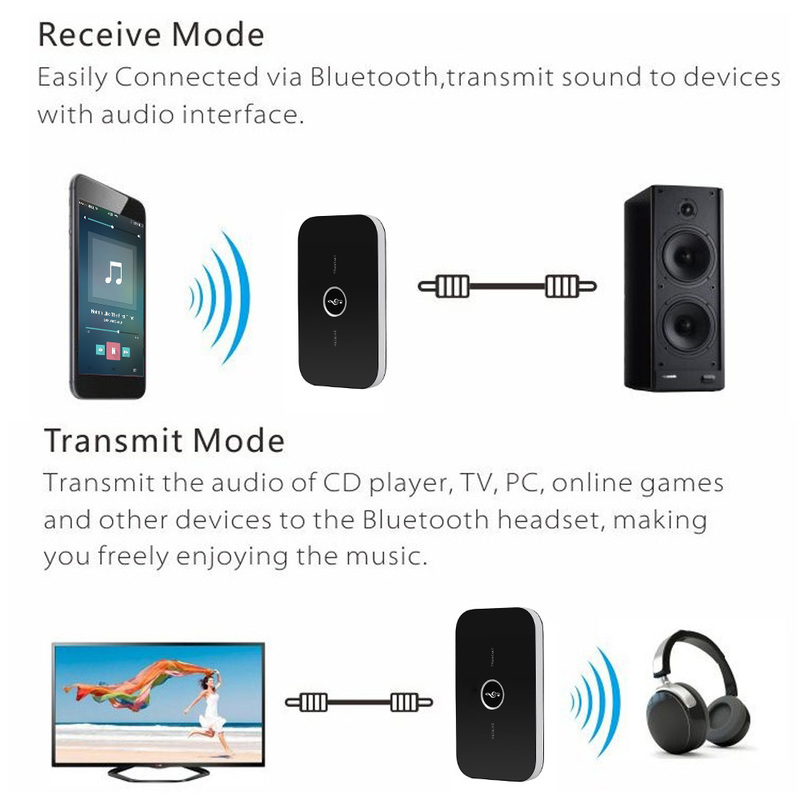 You can connect the Bluetooth Transmitter to the audio devices via the included 3.5mm Audio Plug, changing these audio devices into Bluetooth-enabled audio devices, and making it work with Bluetooth-enabled Headset and Speaker. [ANC Noise Reduction & AEC Echo Cancellation] Support Noise Suppression and Echo Cancellation, offering you Magnificent Stereo Sound & Wonderful Sound Quality. 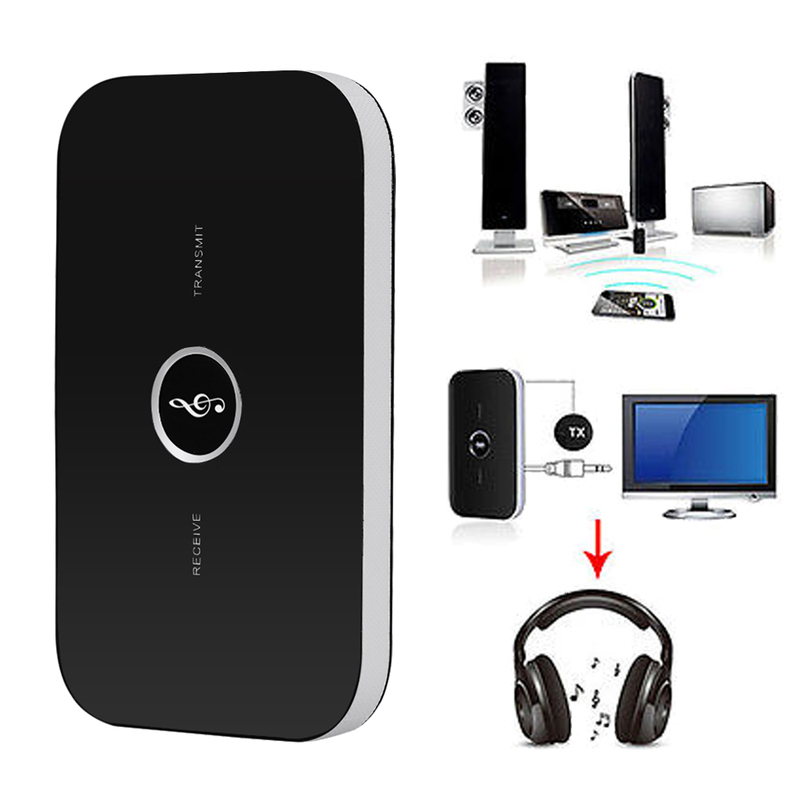 [Strong Compatibility] Compatible with Android & IOS smart phones and PAD, almost all Bluetooth-enable Audio Devices, and Stereo System with 3.5mm port. 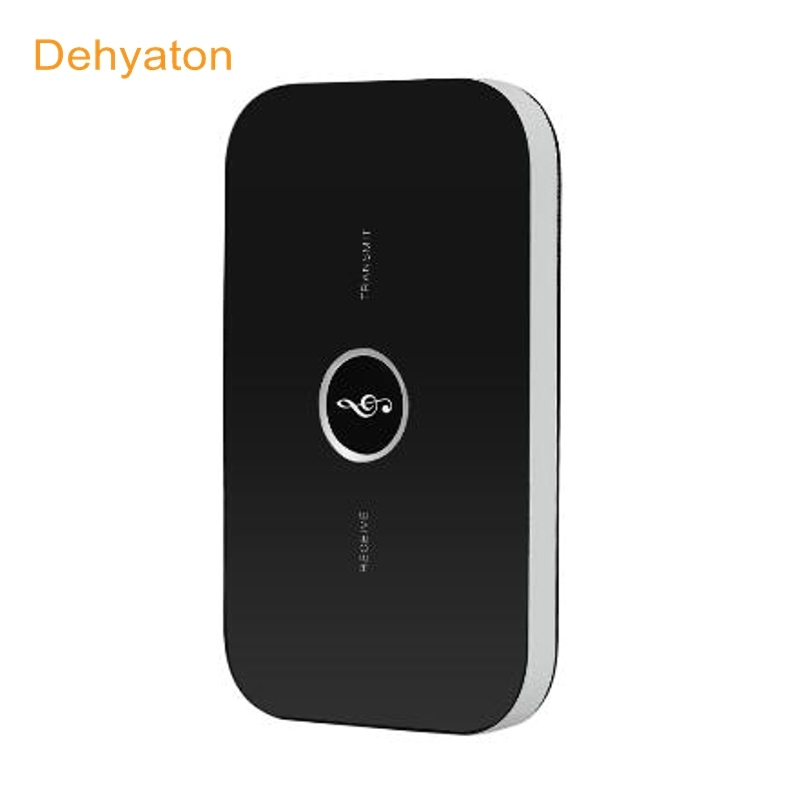 [Low Power Consumption] Built-in 600mAh Battery ensures up to 8 hours working time, you can enjoy wireless free all day long. Simple use, no need to download any APP. With Retail package to protect it very well!